It’s really quite straight forward. Create the best content possible. That’s what people want. People go to websites because they want something. It could be to buy something, to learn something, to be entertained by something, or any number of things. The better you are at giving people what they want, the more traffic you will get. I don’t spend much time working on getting Facebook likes and getting top search engine rankings because it’s quite often the bi-product of great content. 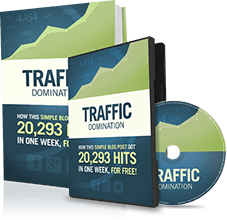 Below I have outlined what you can learn from the 50 articles that send IncomeDiary the most traffic. 1. The articles that get the most traffic are lists… Shock! Out of my 50 top articles, 35 start with a number. When I write, I write in a way, I would like to read. Being dyslexic, I like to summarize things, make it easy on myself to consume information. That’s why I think I do such a good job with lists. Here’s some examples of my favorite top list titles. 9 out of 10 of our top articles mention people in some way. I don’t need Bolt’s permission to write about him, but I get all of the benefits of having his name associated with mine and what it represents about what is written. Usain is the fastest runner in the world. That means these tips must be the best tips in the world. If I write about how to run faster, no one will want to listen. 4 out of the top 5 articles on this website link out to over a dozen other websites. 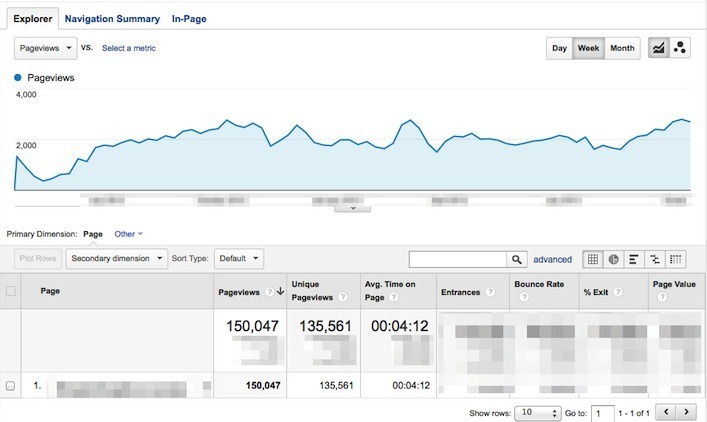 These articles also had noticeably longer visitor times. Don’t be scared to link out and show some love. If you recommend something or someone and your reader likes where you sent them, then they will end up trusting you more. Something that is made really obvious when I look at my top 50 blog posts is… the title can really make or break an article. If you are stuck trying to come up with a title of a post, go to the supermarket and look at the magazines. Modify titles of articles to make them relevant to something you want to write about. Motivational, is the type of posts that make you take action and start working. Tutorials, are articles showing you how to do something. These can often be monetized well by recommending products required to do what you instruct in the tutorial. Inspirational, is the type of post that gives you ideas. Reviews, we review products and mention them in our customer autoresponders. News, often something I would shy away from because it’s not evergreen (always relevant) content. If it gives me a positive ROI, then I will publish them. It seems people value motivation higher than anything else. It’s not often lacking the skills that holds us back, it’s our work rate. Motivational posts help us focus more on our goals. Although Reviews and News are not featured in the top 50 posts, they are still a relevant part of my blogging strategy. I just prioritize. A large percent of articles published on IncomeDiary are paid for. One of the highest performing posts on IncomeDiary was published last year and has so far received 9,883 visitors in the last 30 days & 106,338 visitors in the last year. I paid $120 for that article. I published a post in 2011 that cost me $100. In 2017 it makes me over $1000 a month. The easiest way in my experience to get people to write for you is to ask. If asking fails, offer them money. We put together a training video on how we pay people to write our posts. Write it in a list form and number it. Mention people your readers will know, it will draw them in. Link out to other websites. Write the perfect name for your article. This should be thought about. Keep to a plan & implement. What type of blog posts are sending you the most traffic right now? Love these tips! thanks Michael as always…giving so much value to the people. Great tips. I need to add more lists in my writing. It’s good to know that people enjoy motivational articles. I want my readers to stay engaged. Great post Michael and very helpful. Some stats I wouldn’t have thought made such a difference but there you go. Thanks! Hmmm… motivational you say 🙂 never thought about writing motivational articles.. going to try that real soon.. thanks for the advice!! Great work.., Keep going on Micheal…!! A very good inspiring blog post and very much good ideas. A guy like me was in thought drive traffic by doing lot of SEO. Hey Michael, “Thank you” for the valuable info! It’s good to know the type of content people are engaged by the most. I also learned a very valuable lesson in this post about how to tie your content tightly into lead gen and then a sale. Very slick stuff! great post. It really helped me for my foodblog. Thanks Micheal. Thank you, Impressive and useful information. Your post is awesome. A question here, please dont mind if it looks silly. I have written a blog, posted it to reddit and got few up votes. The thing i am confused about is how to get the email list? I will get the traffic if i write some great content on my site but where to get emails to tell people about my site at first? Confused! Thanks michael for ROCKIN this post-we like! Thank you for the tips. We just started blogging last month and will definitely implement some of these.